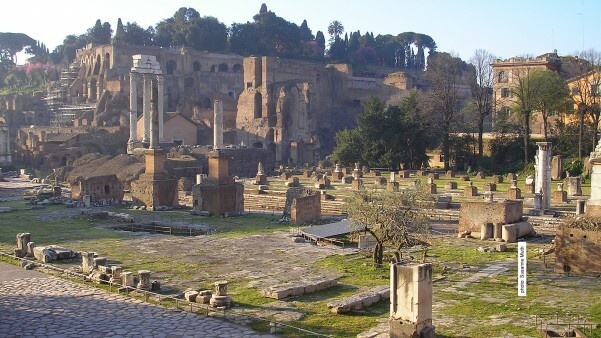 A distinctive feature of the appearance of today’s Forum Romanum is a row of seven honorific monuments, which were spread across the south side of the open Forum area. Towering atop the pedestals, which have themselves survived only fragmentarily and are partially rebuilt today, stood columns. Originally, these columns – which can be seen today, although they are a modern restoration – held statues. 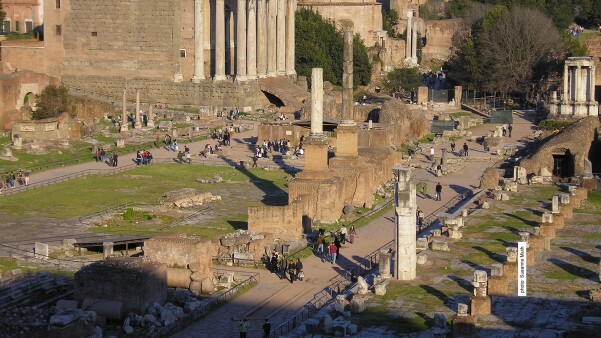 The erection of the seven column monuments was indicative of a more general transformation of the Forum area under the Tetrarchy (see Tetrarchic). 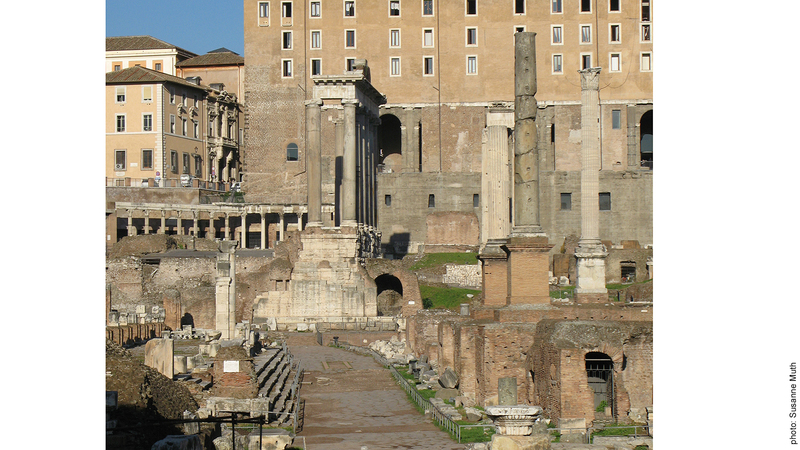 A lot of structural alterations were made to the Forum during the Tetrarchic period: On the one hand, pre-existing buildings were restored, while on the other hand, innovative modifications were made to the Forum, changing its appearance considerably. The seven honorary columns, which spread across the south side of the Forum, belong to the latter group. The exact dating of the monuments is controversial; so far it has been suggested that they were erected either under the Tetrarchic Emperor Maxentius or under Emperor Constantine I. Based on the assumption that the Tetrarchs undertook a uniform reconfiguration of the Forum square, it has been argued that the modification of the Rostra Augusti, the rebuilding of the Rostra Diocletiani and the erection of the seven column monuments occurred within the same time period. This would suggest a complete transformation of the Forum into an open square surrounded by monumental structures on three of its sides. 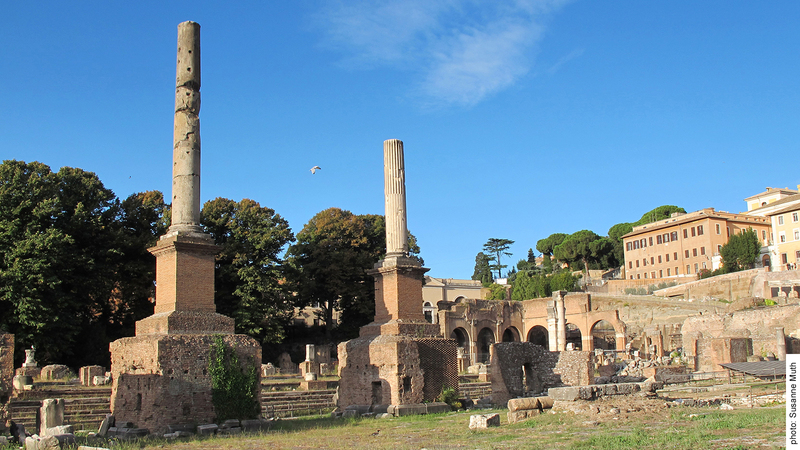 However, the dating of the brick stamps that were discovered within these buildings contradicts the hypothesis that these structures were erected simultaneously: The brick stamps of the Rostra Diocletiani can be dated to the rule of Diocletian, whereas the brick stamps of the column monuments on the south side belong to the reign of Maxentius (the dating of the brick stamps does not constitute an irrefutable argument, however, because bricks that were produced earlier could have been reused in the construction of later buildings). Another question, which is just as difficult as the dating of the column monuments, concerns what role the structure played: The fact that statues rested on top of the columns appears obvious; however, it is unclear how the statues should be classified and which persons (the Emperor? his relatives?) were depicted on the individual honorary columns (see Tetrarchic). During excavations in the southern area of the Forum in 1871-1872, seven column pedestals (up to 3,80 m high) occupying the south side of the square at an interval of around 7 m were uncovered. 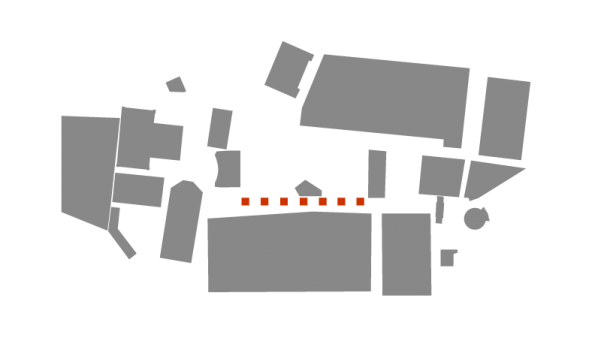 Numerous fragmentary monolithic column shafts discovered in the surrounding area were associated based on their find-spot with the pedestals. Accordingly, these pedestals were reconstructed as honorary columns. In 1899, two of these column shafts (the first was grooved and made of Pavonazetto, the second had no grooves and was made of grey granite) were re-erected. Due to their fragmentary condition, large parts of these two pedestals were rebuilt with bricks. 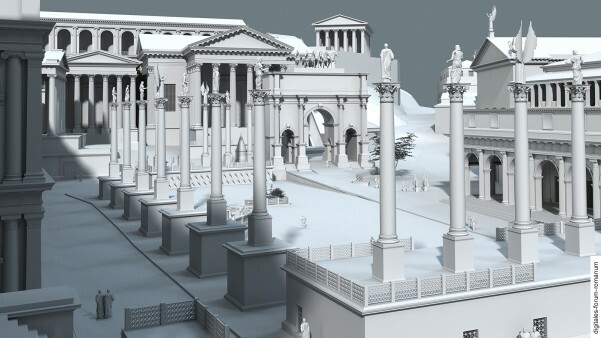 The reconstruction was modelled on the so-called Column of Phocas, which had been preserved in a much better condition and stood in a prominent place between the Rostra Augusti and the Lacus Curtius. This column monument was about 17 m high and had a square pedestal, to which a pyramid-formation of six steps ascended (these steps were partially removed in 1903 and are therefore only visible in part at the present day). On top of the pedestal stood a square plinth and the base for the actual column, which was composed of spolia. 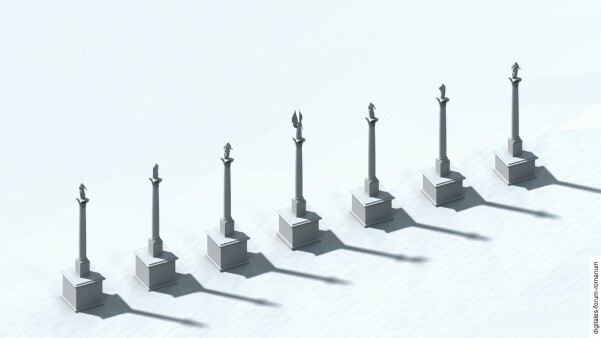 The partial re-erection of the column monuments on the south side at the end of the 19th century, modelled on the so-called Column of Phocas, has to be considered a hypothetical reconstruction: Neither the exact height of the column monuments can be determined (due to their fragmentary condition) nor their concrete appearance. In any case, it is plausible to assume that the brick bases were originally marble-lined; the fragmentary column shafts suggest that the column monuments were about 16,50 m high. C. F. Giuliani – P. Verduchi, L’Area Centrale del Foro Romano (Florence 1987) 166-173. P. Verducchi, Colonne onorarie (Forum Romanum), in: E.M. Steinby (ed. ), Lexicon Topographicum Urbis Romae I (Rome 1993) 294-295.